Are you hungry? If so, we have one word to fix this problem: Kolaches. For those who have never had one. We must inform you that you have not lived until you have tried one of our unique and great tasting Kolaches at Shipley’s Do-Nuts! Okay we may be over exaggerating. However, anyone who has ever tried one knows these bad boys are absolutely delicious! When made right, it is soft, warm, and perfect to eat any time of the day. We take this very seriously. That’s why we are proud to offer the best kolache delivery in houston. We are open 24 hours a day, every day, and are committed to providing hot, ready-to-eat kolaches, right here in Houston, TX. Currently, we have two convenient locations that are listed below. Come in or place an order for kolache delivery in Houston. Now you can simply pick up the phone and call us or place an order online. Yep, that is right! You can now place an order from anywhere if you have a smartphone. We boast one of the largest varieties of kolaches and unique Texas-style ones available and each one are made with fresh ingredients, which makes us the number one choice in Houston for anyone who wants to satisfy their kolache’s cravings. Our locations are one of the few that carries the iconic “Big Earl” fresh baked kolache, which are all made with 40% more meat. 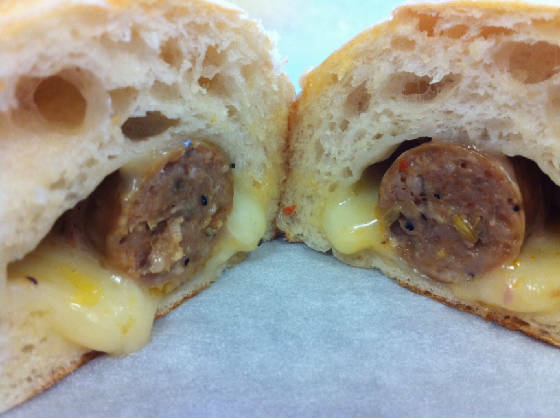 We offer both the sausage and cheese and the jalapeno sausage and cheese. The sausage used is from Earl Campbell Meat Products, Inc. so you know it is made with quality ingredients. For those who want to come on by and try a bit of each type of kolache we offer, you can get a snack sized kolaches and kolache peppers. If you traveled all over Houston, you will not find any other location offering these mini kolaches anywhere. There is also gourmet kolaches that are made with gourmet Italian sausage and provolone cheese. As a morning option, we offer kolaches with scrambled eggs to make sure you get a healthy breakfast to start your day right! Keep a look out for when the Boudain kolaches come, which will be soon! *** Available until noon or with advanced orders you can add egg to any regular kolache. We pride ourselves on being the best kolache delivery in Houston, TX, which is why we also offer kolache catering in Houston. 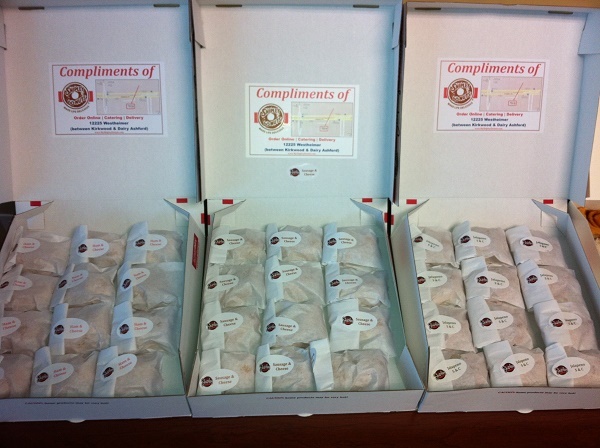 So for your next event, keep us in mind and we will bring these hot fresh baked kolaches right to you! You can also order our famous donuts, hot & cold drinks, and much more. We can deliver to you 7 days a week, 24 hours a day. Do not hesitate to call us the next time you find yourself craving one! If kolaches are not your thing, we also offer over 60 different kinds of savory donuts. Along with specialty donuts that can only be found at our location. At Shipley’s Do-nut, we are constantly creating new kinds of donuts to satisfy all our customers. Also, do not forget our delicious gourmet beignets! They are so good, sometimes our customers say they are better than the ones made out in New Orleans at Café du Monde! Come in and try for yourself! Make sure to let us know which one is better!